We like nothing better than hitting the beach and picking up trash. 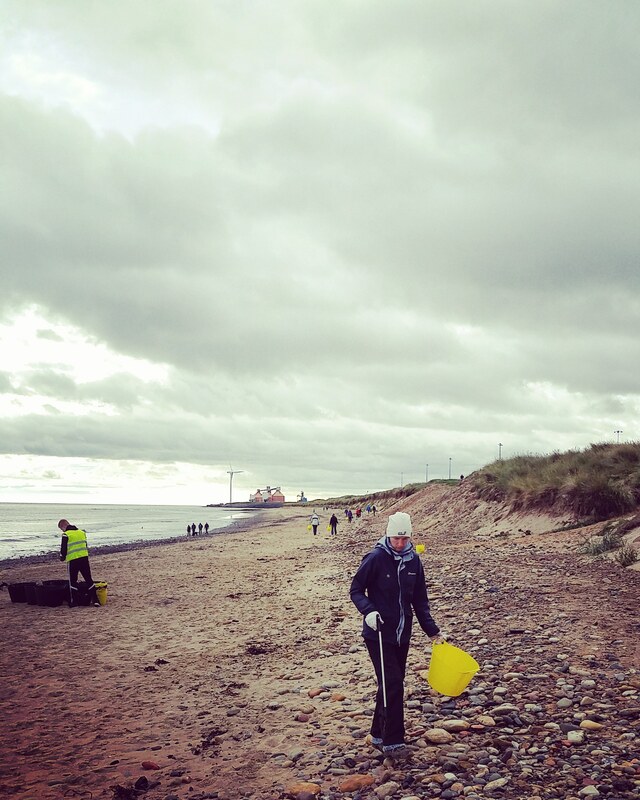 For our latest clean up, we had a bunch of extra reasons to gather our volunteers and head down to Cambois! 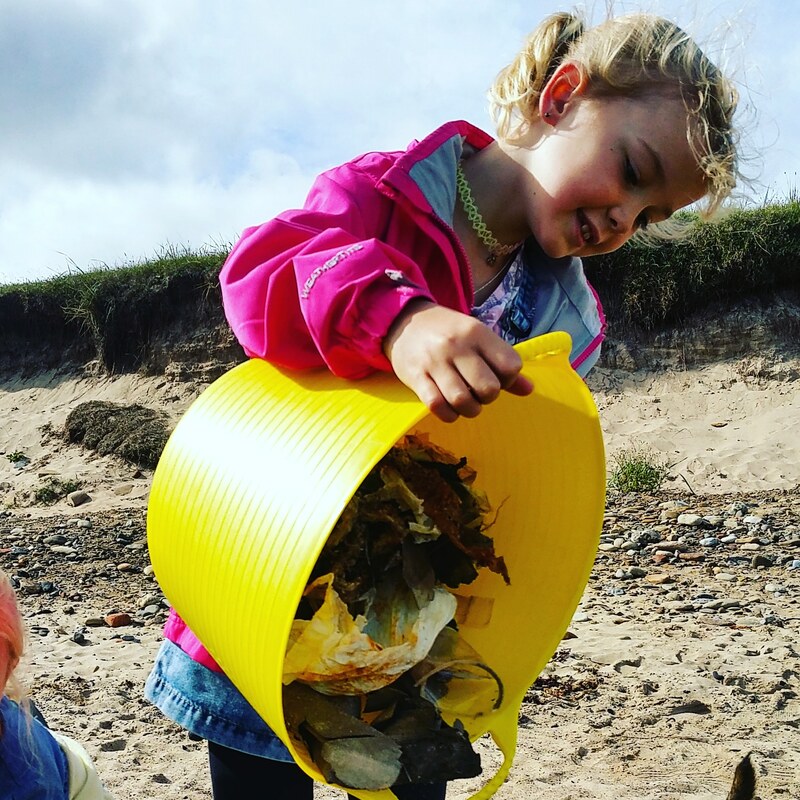 Every year in September, the Marine Conservation Society call for volunteers to take part in a nationwide beach clean. 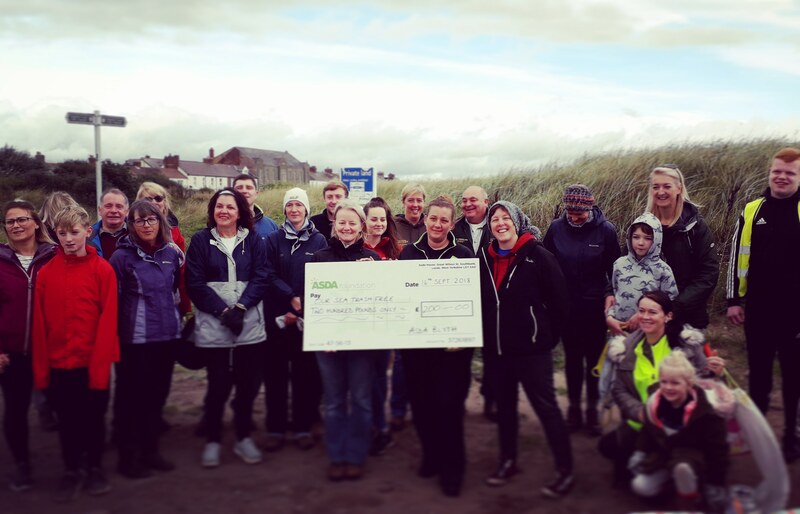 We adopted Cambois beach as part of Beach Watch way back in 2016 and have been doing monthly litter picks since then. We're a busy little diving centre, so we're usually underwater blowing bubbles when we're not cleaning beaches. However, that doesn't mean that we're not keeping an eye on our underwater surroundings! We're a massive supporter of Project AWARE. 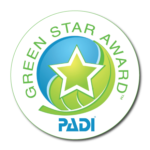 The organisation is the not for profit arm of our diving training agency PADI. Their values and beliefs mirror our own and we are passionate about protecting our oceans together. Project AWARE week is a global movement of divers organising events to help clean up the sea. 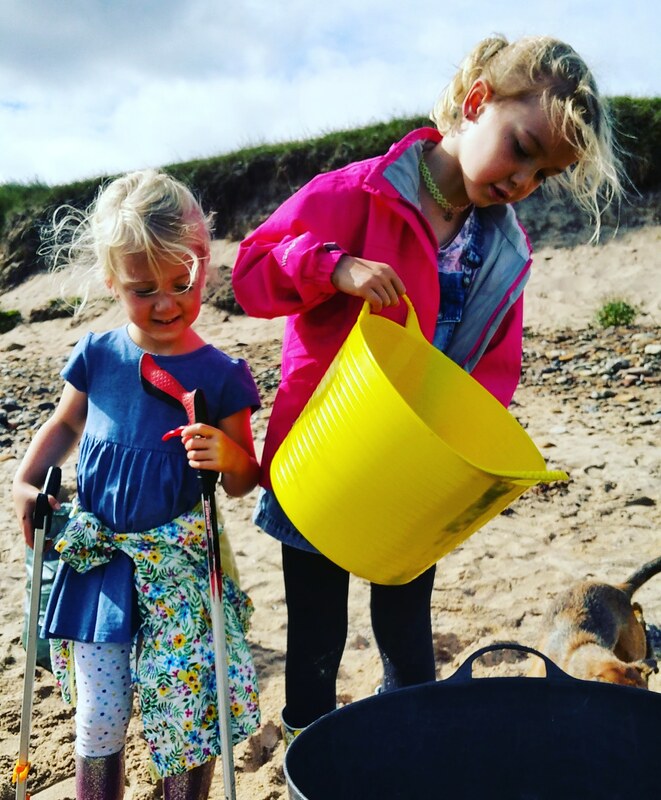 This beach clean was just one of many events we had running through the week including baby lobster releases and dive against debris surveys. 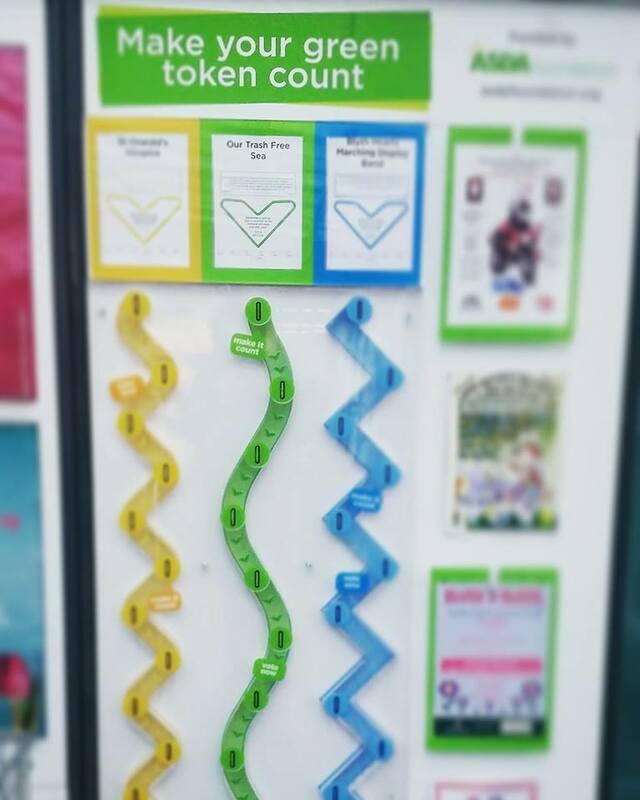 Have you seen those green token boxes in the entrance to ASDA? Our Sea Trash Free featured in the big Blyth store. Customers are given tokens after their shop to drop in the containers and vote for the organisations they want to support. We were blown away when they came to present a huge donation to our volunteers. The main reason we hit the beaches so regularly is because they're crying out for our help. 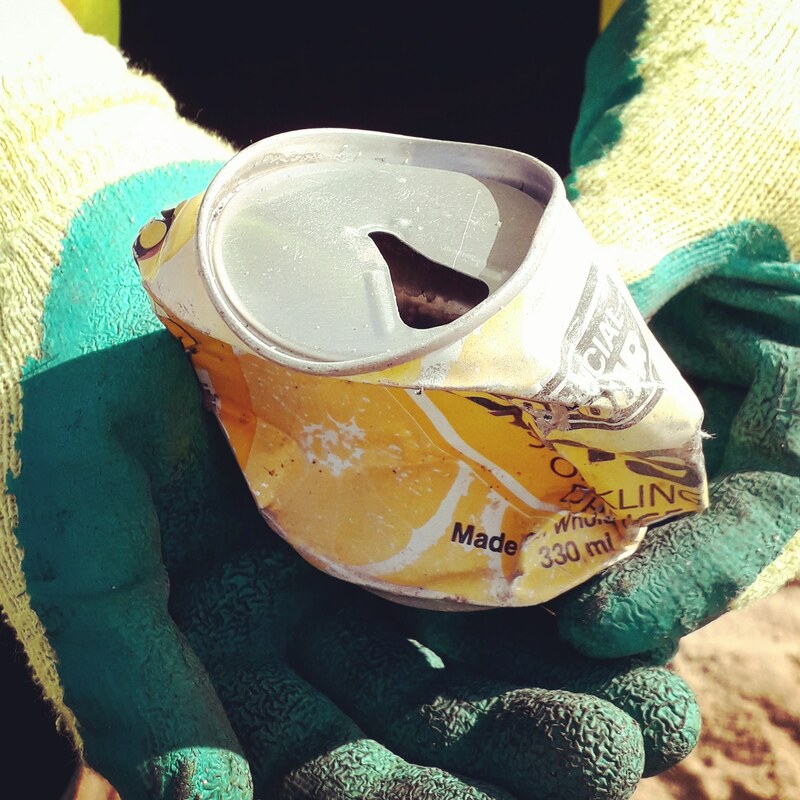 Swamped with litter including increasing amounts of plastic, it's a threat to our wildlife, plus it's an eyesore. Plastic never decomposes, it just breaks down into smaller and smaller pieces. 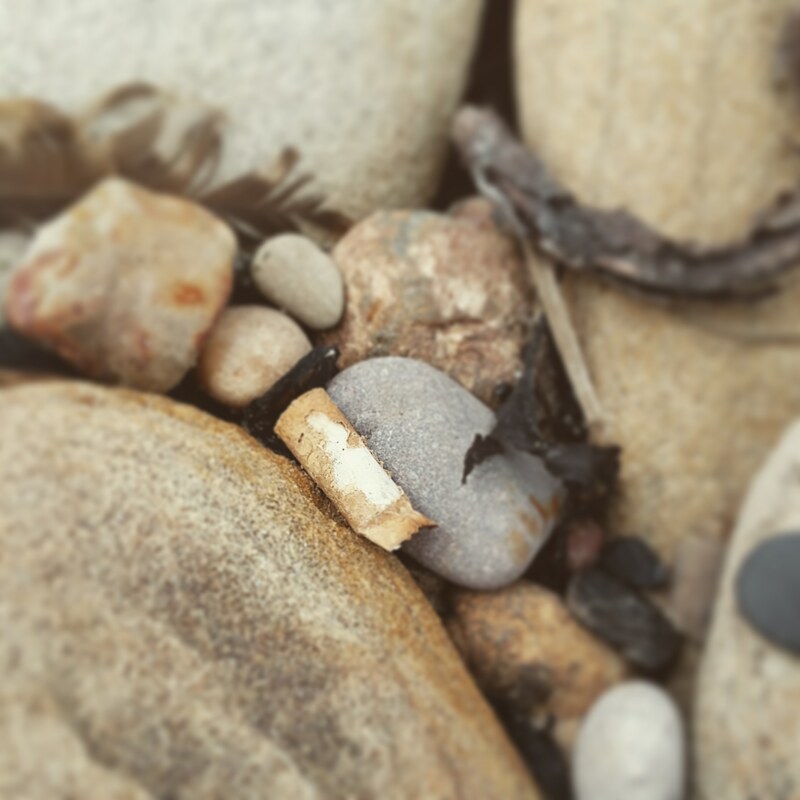 Microplastics are becoming an increasing problem in our marine environments with mounting evidence to prove it will soon become a major risk to our food sources. The more litter we can remove from the shore, the more we stop entering the ocean and eventually the food chain. We recently attended the Ocean Film Festival. A documentary called Blue reduced us to tears when we saw shearwater chicks regurgitating stomachs full of plastic after their parents had unknowingly fed them. They had swallowed everything from pen lids to rawl plugs. It really hit home that everything we pick up can protect our marine life from an agonising fate. How Old Is This Litter? 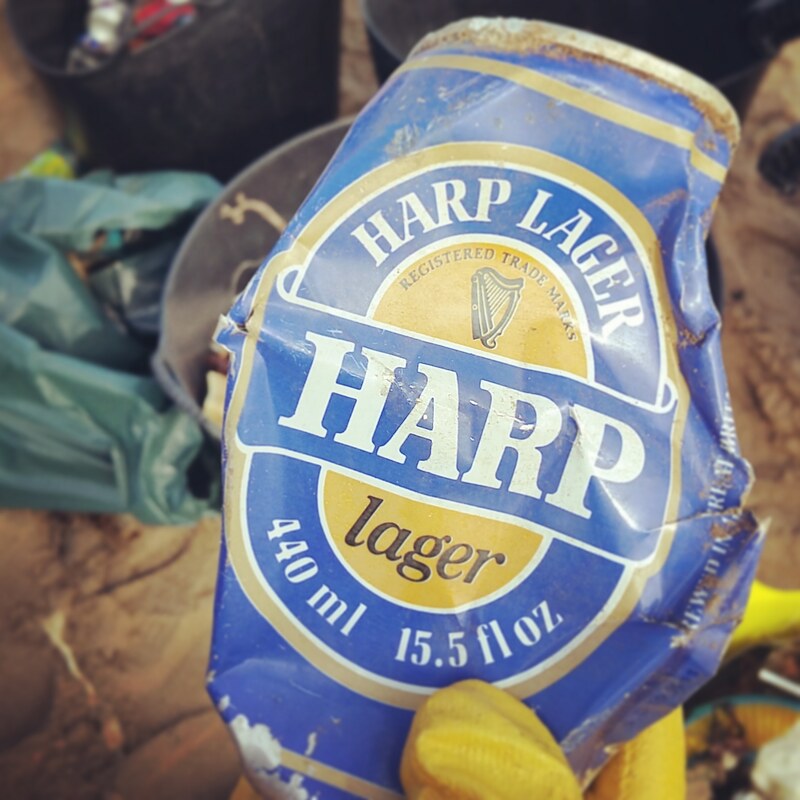 Our volunteers pulled out some really old litter during this beach clean. The Tango and Harp cans had the old school ringpulls (where you pull and remove to open the can). These started being phased out in the late 80s, so these drink cans could be around 30 years old! 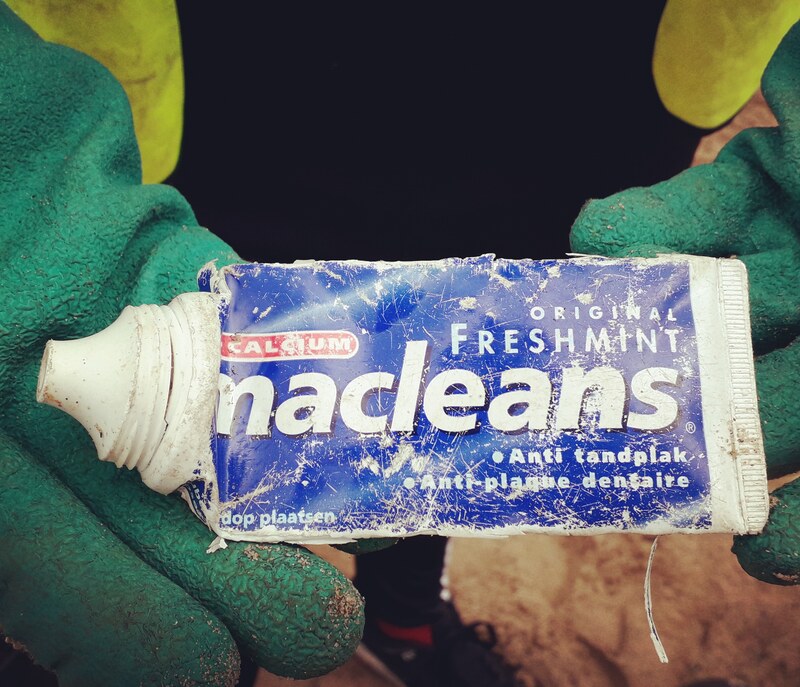 The Macleans toothpaste tube looked old and battered, although there was no noticeable date stamped. Interestingly, the info was printed with Dutch. Has this toothpaste floated all the way from the Netherlands to Cambois beach?! How Young Are Our Volunteers? 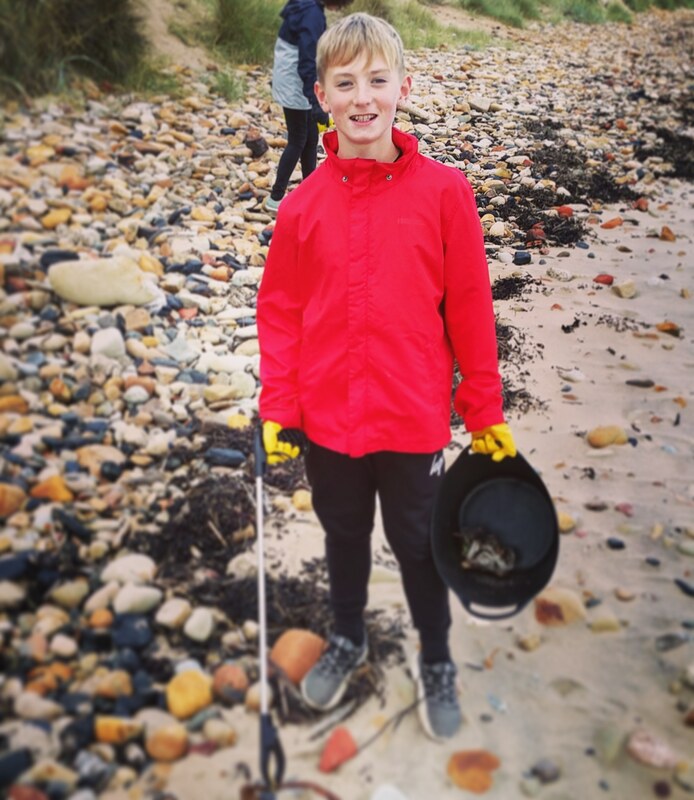 Beach cleans are a cracking family activity. We think it's awesome that families bring their kids to muck in and teach them the importance of environmental conservation. We've found a lot of the time it's the kids that plant the idea in their parent's heads! Who knows if there'll ever be a day when we go to Cambois and find no litter. The haul from this beach clean was smaller than usual at "only" 105.6kg. (Small compared to previous cleans where we removing up to three times that weight.) It's a strange situation to be in when we get a small haul. On one hand, we are so pleased that our efforts are working to reduce marine debris. On the other hand, our volunteers are disappointed because they feel like they haven't achieved as much as last time. But, this couldn't be further from the truth! Our work has a direct impact on our environment and clean beaches make us incredibly happy! Our volunteers are awesome. They turn up rain or shine and they work very hard. They've removed over 1,800kg of trash since September 2016 and recently won EBPC's Volunteer Group Of The Year Award. We are very lucky to have such a following of amazing people. 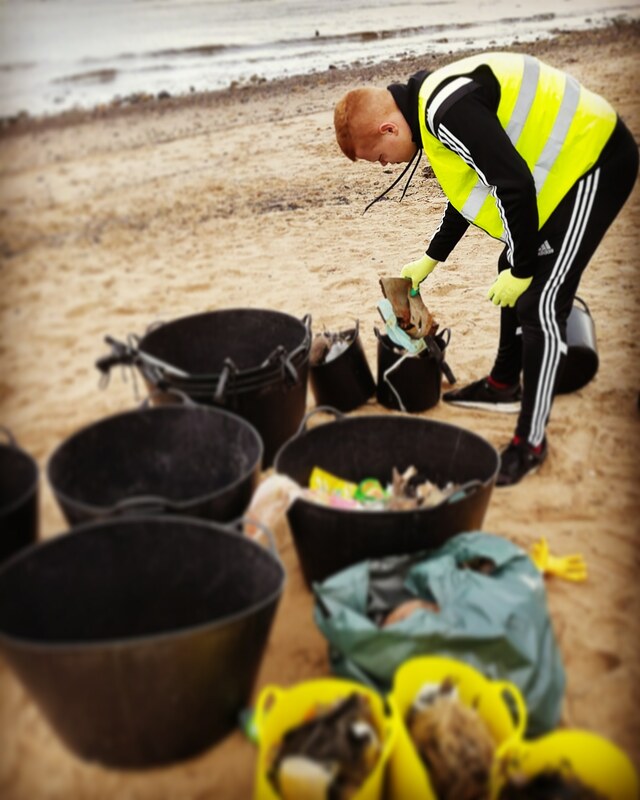 If you'd like to get involved in our environmental activities, check out our Facebook page and website for more info. Posted in Environment, Project AWARE and tagged asda, beach clean, beach clean volunteer, Beach Cleans, beaches, Blyth, Cambois, Cambois Beach, Dive Against Debris, Dive centres, Dive Centres England, Dive Centres Newcastle, Dive Centres NorthEast, Dive Centres Northumberland, donation, Eco Training, environmental action, Litter, Marine Conservation Society Beach Watch, North East coast, Northumberland, Our Sea Trash Free, the environment, the Northumberland coast, Trash Free Seas, volunteer. Nic is one of the co-founders of The Fifth Point. She is a Master Instructor with a keen interest in environmental conservation.